In the tiny ocean community of Seal Beach, there are three Irish bars within a tenth of a mile of each other. Saint Patrick’s Day must be a lot of fun in Seal Beach. When riding through Dana Point, we came across this beauty. 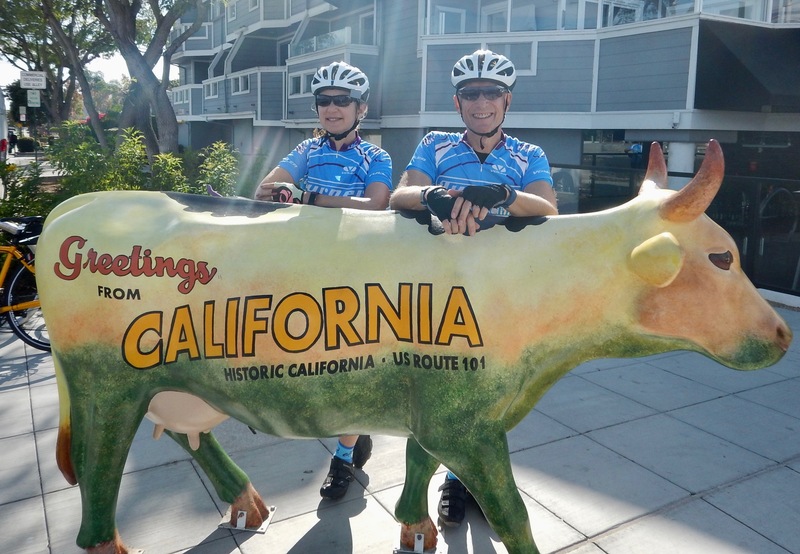 Nothing says California more than a milk cow. Sadly, Bessie was gone the next time we came by. Unless you have at least a million dollars. Here’s a house in Costa Mesa that doesn’t quite fit in with the neighborhood. 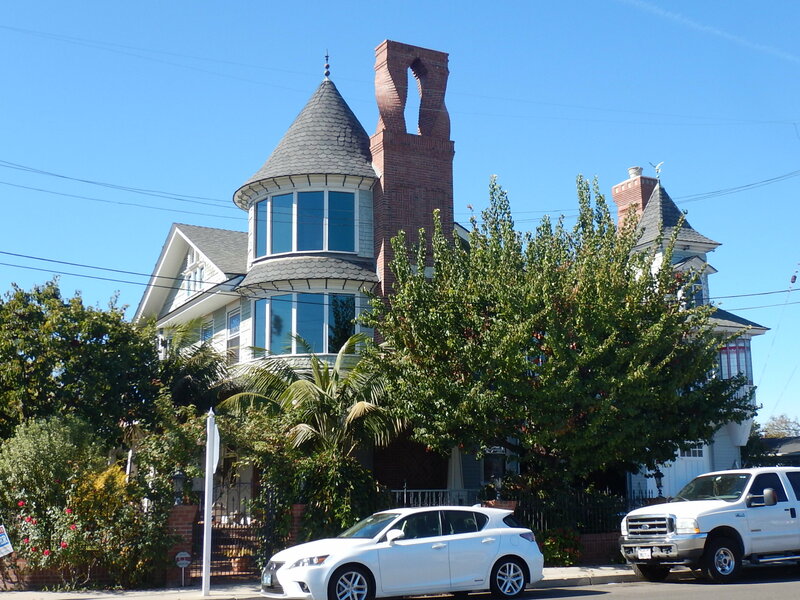 Someone decided to put a full-blown Victorian mansion in the middle of a neighborhood of one-story beach houses. An old house or a new one? Turns out it’s a new house made to look old. It can be yours for $1.5 million. They still drill for oil offshore and onshore in Orange County. You would think it would all be gone by now, but they are still pumping it out. Here’s a relic from the past. This rig has been around since 1920. 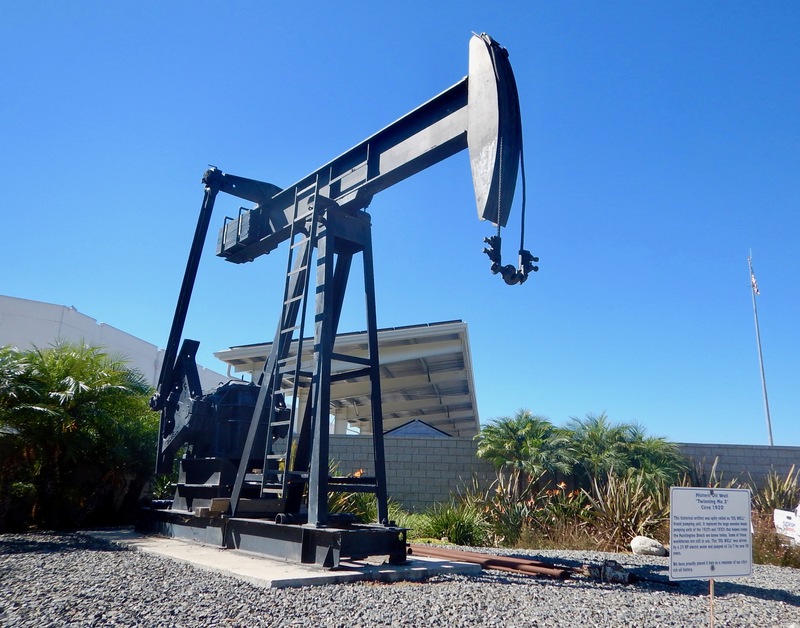 It doesn’t work anymore, and is now used as “yard art” near Huntington Beach. 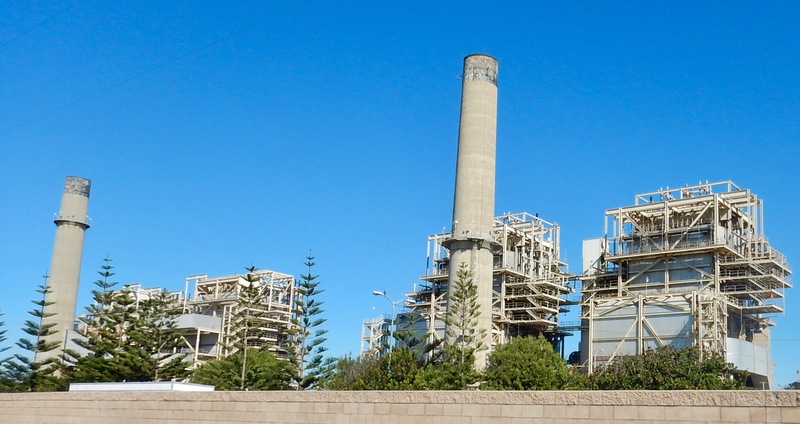 Apparently back in 1957, someone thought it would be a good idea to put a power plant right in the middle of the unspoiled wetlands near the ocean. You may not know it, but Orange County has the highest-volume Mercedes Benz dealership in the United States. Mercedes are like cheap Chevys here. Everyone seems to own one. Teslas are everywhere as are Ferraris, Maseratis, Porsches, Bentleys and Rolls-Royces. You get the picture. 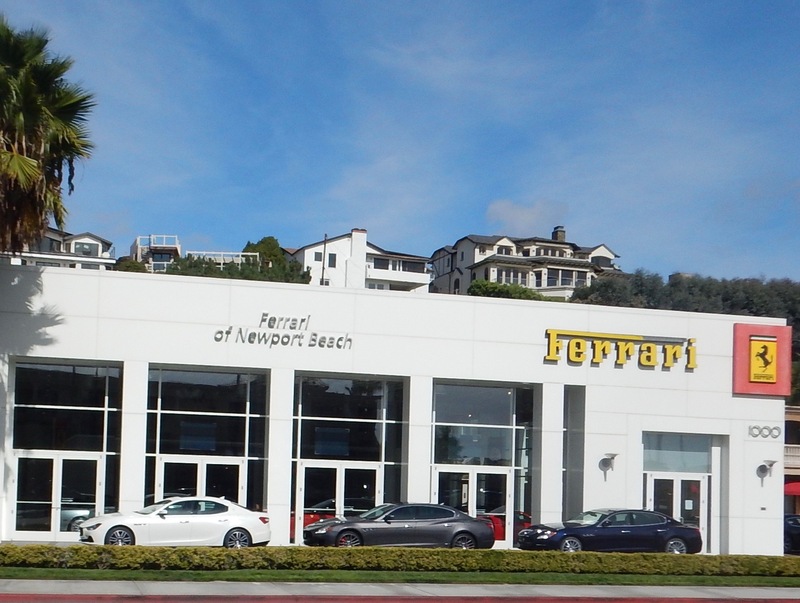 On one stretch of the Pacific Coast Highway in Newport Beach, it’s sports car heaven. Need a Maserati, go to the dealer disguised as a Ferrari showroom. I’ll take the red one out front. A half a mile away is the Bentley/Porsche/Audi dealer. The BMW dealer is the other way. They have you covered in Newport Beach. 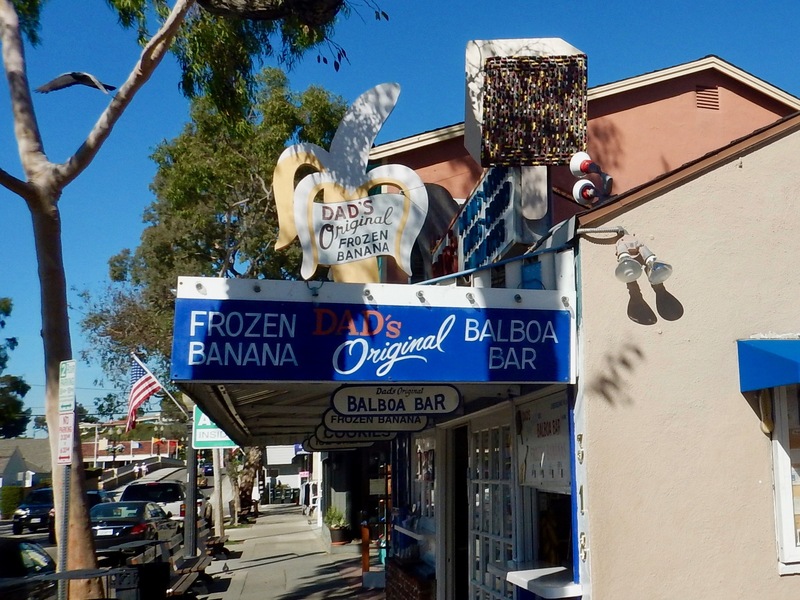 On Balboa Island, there are two places you can get frozen bananas. The first is Dad’s. And the other is Sugar and Spice. They are within a block of each other. 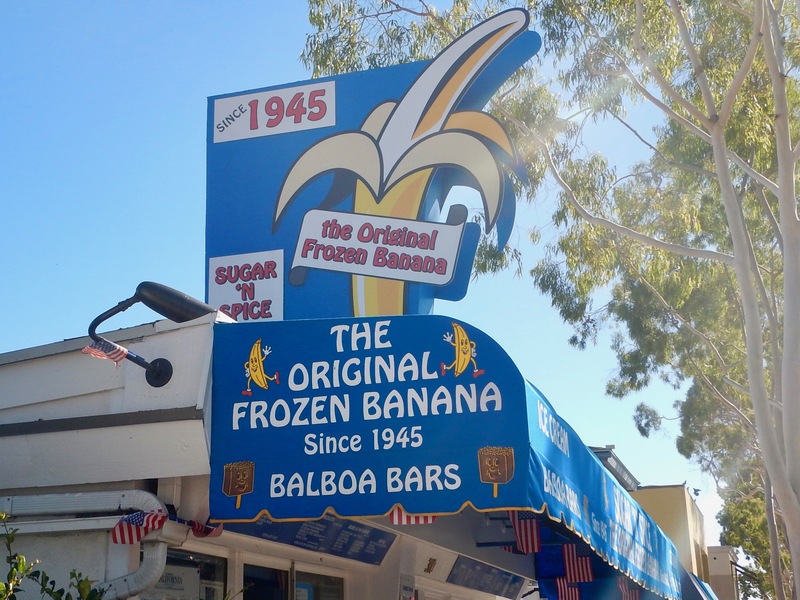 Both claim to have the “original frozen banana”. Someone is lying here. Our Tandempalooza research shows that Sugar and Spice was here twenty years before Dad’s. 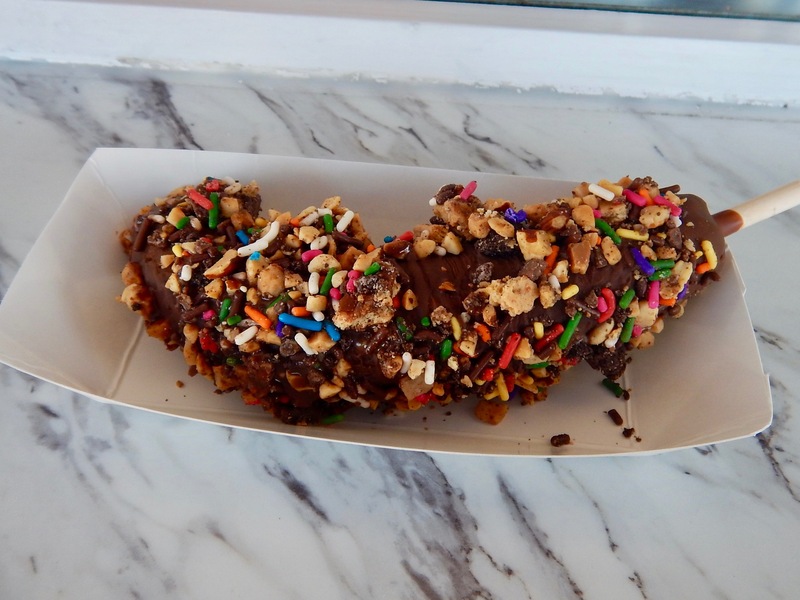 By the way, we like the Sugar and Spice bananas better. 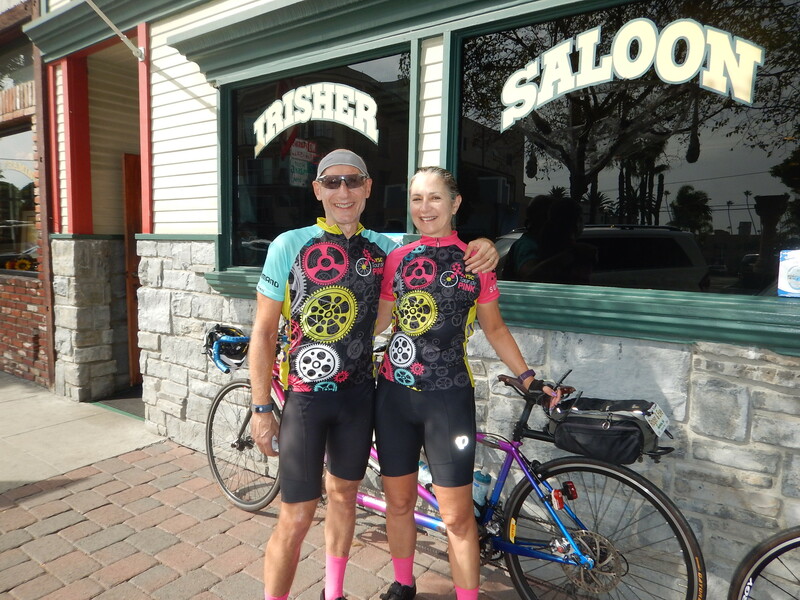 Follow this blog and keep up with all of our cycling adventures. We’ve got a BIG one planned in March/April of 2017 and you don’t want to miss a single episode. Just click the “follow” button in the upper right of the page. Fun! Where are you headed next spring?? We missed having you to ride with yesterday. It just wasn’t the same without you. We rode the Santa Ana River trail from the beach to Weir Canyon. We hadn’t ridden it in about a year. So much had changed. There weren’t all those hundreds of tent encampments. We were very surprised. The weather was gorgeous this weekend and we were able to go riding twice. Miss you too. We will do that ride the next time we see you in 1-3 years. Already sick of riding in Atlanta! Why is it we get hungry during and after we read your fun times!? Tee hee. Just read this and we are getting a snack. Love ya! You know you want a Balboa banana, Joyce! Next Post Major Announcement Time!